Aldabra Giant Tortoises once occupied all of the Seychelles archipelago in the Indian Ocean; now they remain only on the island of Aldabra where they are quite common. These tortoises represent another case of giant animals on isolated oceanic islands that achieved their size in the absence of predators. 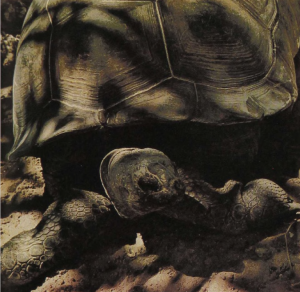 The Aldabra Giant Tortoise also used to be hunted for food and oil: the living turtles were used by pirates, merchantmen, and whalers as a fresh meat supply on long voyages. 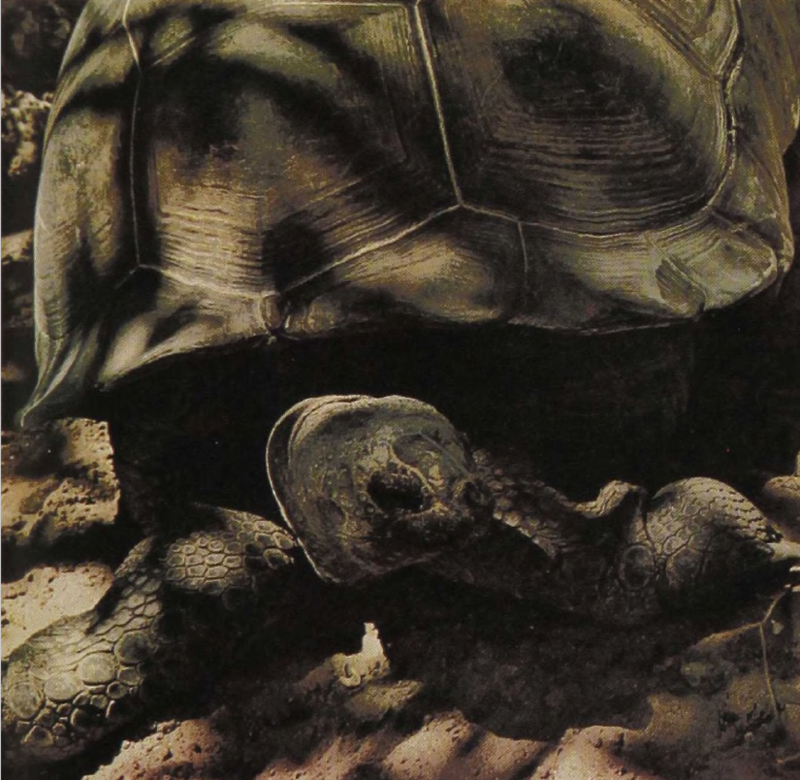 On Aldabra, the tortoises breed in the spring, the male emitting a roaring sound as it pursues the female. There are good records of specimens living well over 150 years, but most of the growth takes place 24 during the first 25.